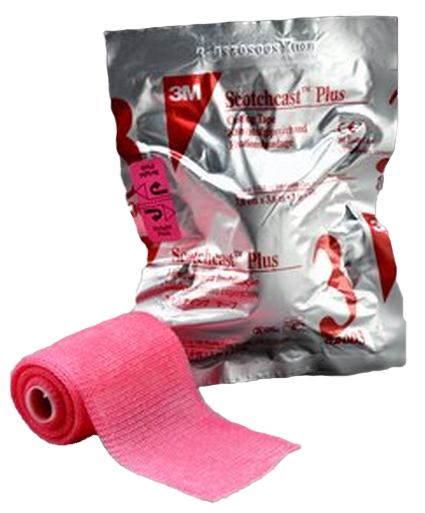 Scotchcast Cast Tape, manufactured by 3M, are casting tapes used for orthopedic casts. Scotchcast creates a porous cast that is breathable and lightweight. Scotchcast is pliable like plaster, but is easy to use like a casting tape. Activate the casting material before applying and it becomes rigid. 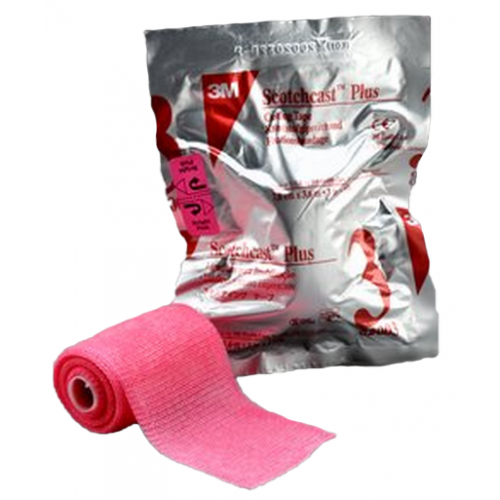 3M casting tape works fast, in just 20 minutes you can put pressure on it. The high rigidity prevents breakdown of the cast. Unlike most casting tapes, Scotchcast is a knitted fiberglass tape that is impregnated with a lubricated polyurethane resin. This resin becomes slippery when it gets wet and then hardens. Casts made with Scotchcast are better fitting due to the stretchable fibers. These conform to the body’s natural shape creating that better fit. To use Scotchcast, apply 2 layers of 3M stockinette to the desired area, along with any additional cast padding needed. Immerse 1 Roll Scotchcast material in room temperature water and squeeze 3 times. Then simply unroll the scotchcast material onto the padding. Once cured, casting material should not get wet. For assistance keeping casts dry see our line of Dry Pro cast protectors.